In this page from Venom #40, we have Agent Venom/Flash Thompson disguised inside a SHIELD facility and questioning Hellstrom. It is the first time Coelho draws Hellstrom, a first appearance for him. 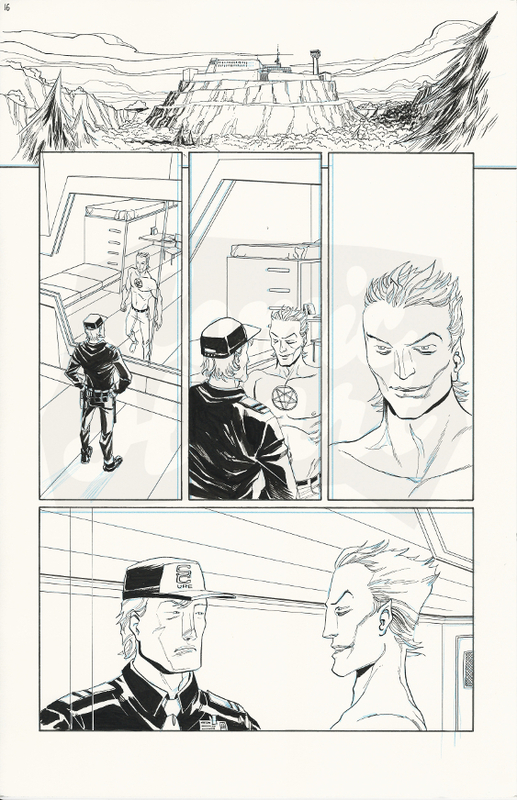 These are the original blue pencils and inks from page 16 of the comic on artboard.